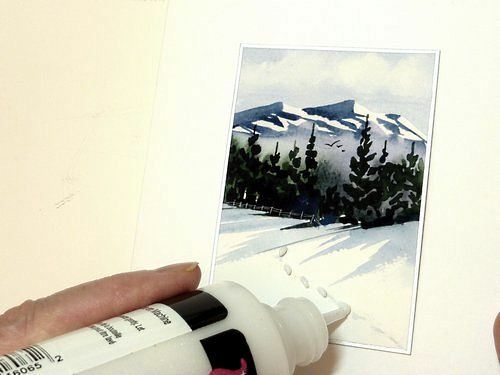 Use these card making ideas to make your winter holiday cards stand out from the others. These simple embellishments take so little time to produce such satisfying results. 1. 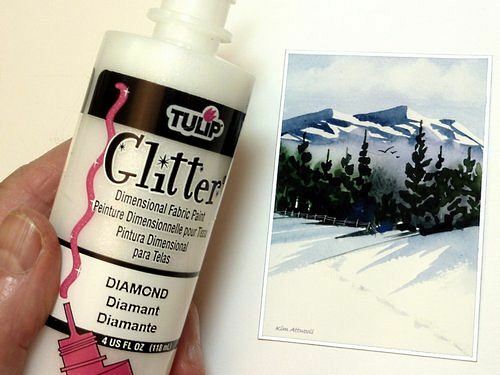 The Tulip Glitter Fabric Paint makes perfect sparkly snow. 2. In this winter landscape, I've already suggested footprints in the snow. To make them sparkle, just lightly dab the glitter over them. 3. 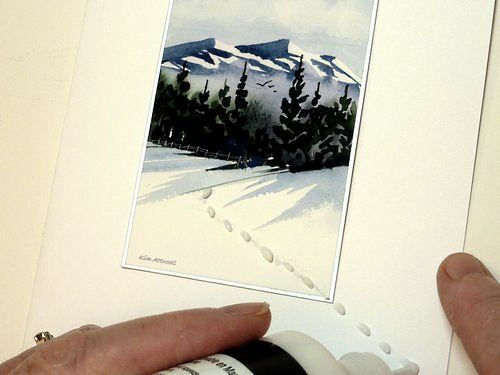 For even more of an effect, continue the footprint dabs out of the picture and onto the card stock. That invites the viewer into the picture in a big way. You probably already realize that even if there are no footprints painted in the picture, you can easily add them by just using the glitter paint.